One morning, I went to McDonald's to buy breakfast. I usually have breakfast at home, but after a long shuttle ride, I would sometimes feel hungry again. 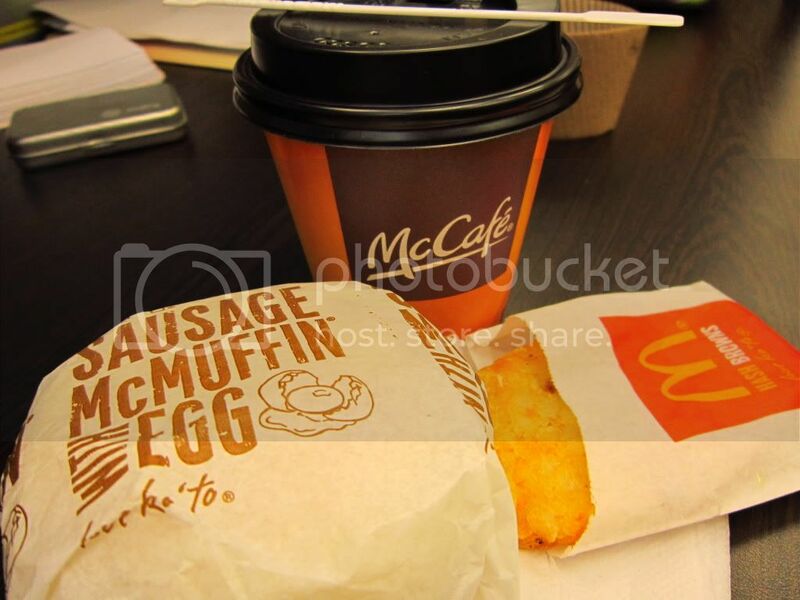 I ordered my favorite: Sausage and Egg Muffin, Hash Brown and Brewed Coffee. As I was waiting for my orders, I took a leaflet which I thought was a delivery menu (I try to collect menu from different restaurants). 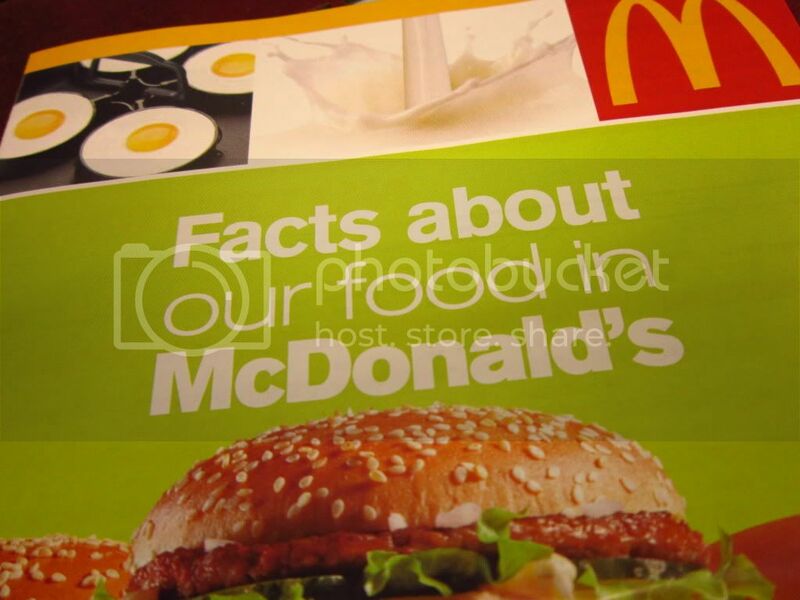 It turned out to be the McDonald's Nutrition Information. That's 710 calories on just breakfast. And I'm not even counting the calories from brewed coffee. It made me very guilty that I lost my appetite for lunch. How about you? What's your usual McDonald's meal? 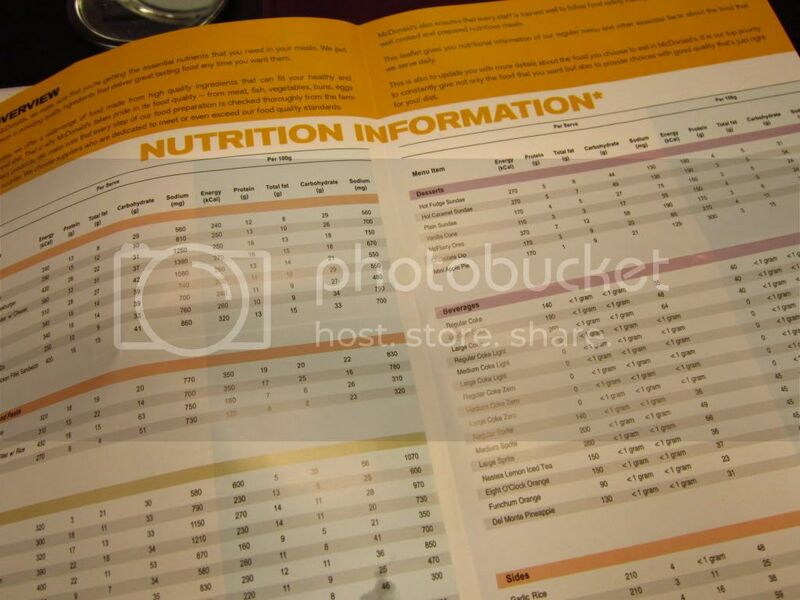 What's the total calories from your meal? 420 + 310 + 260 + 270. Yun itnatakbo ko sa treadmill for 45 mins 300 calories lang bawas. Shoot! Not enough right? Ako nga around 500 calories yung circuit training ko. Weakling pa din yung exercise ko.hahaha. Cheeseburger, Large Fries, and Large Coke! Oh, wait, why am I computing? Accounting will never invade my eating habits. Never! Hahaha! most fave comment so far is from vallarfax. what surprised me here is that a small piece of chicken fillet (and one of the cheapest on their menu) has more calories than a cheeseburger, it might be because of the rice?